WorksafeReps is owned and operated by the Workers’ Education Trust, established by the PPTA, PSA, RMTU, NZNO, DWU and the NZCTU to provide education courses in health and safety at work. Applications are invited from Community Support Sector members to fill a vacancy on their sector Industry Council. The Council sets the organising and strategic plan for the aged care, disability, mental health, and home support sectors of E tū. Applications close 30 January 2019. 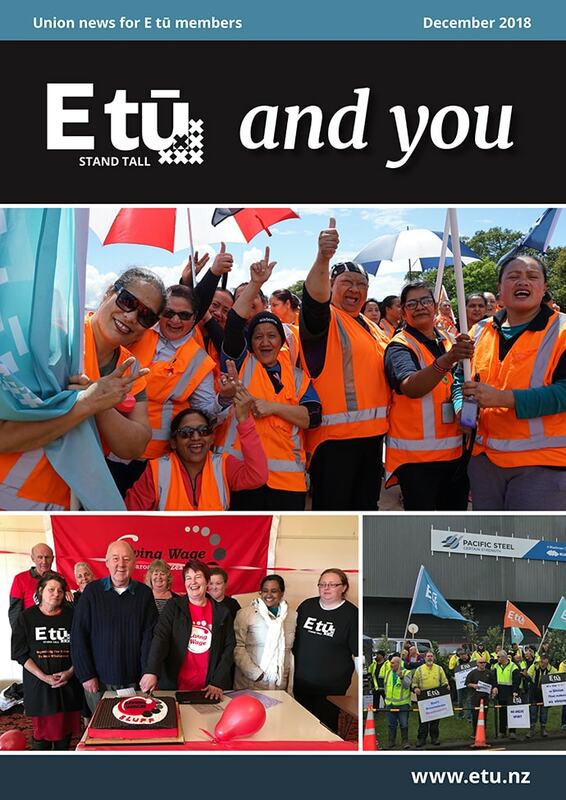 For expressions of interest or request for more information, contact: alastair.duncan@etu.nz.